One thing is sure: it was not long after the iPad launch in early 2010, until the tablet reach the most important producer of finance of the company, after iPhone. Only in the last quarter, the best device of the company, the 15.43 million iPads sold – with 7.33 million more than a year ago – were a quarter of company sales – 9.2 billion dollars. If the above figures are not a source of additional stress for the new model iPad 3, I don’t know what else could be. March is coming. So if we follow previous years, we can say that is coming the month when Apple releases a new iPad. After all, not for nothing that all the IT sites in the world start to follow rumors that are becoming less reliable for the next generation of the world’s most popular tablets. 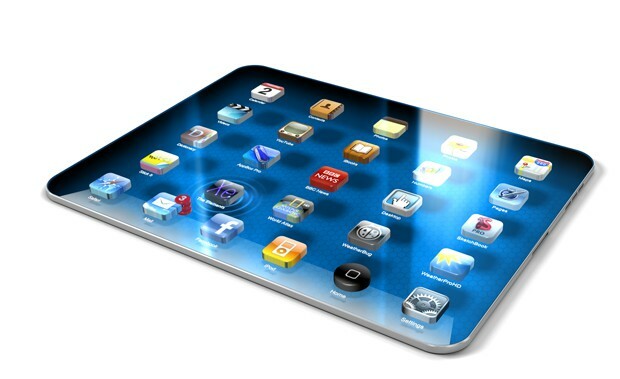 An upgrade, which circulated very much last year, refers to the next iPad screen resolution. For the simple reason that iPad compatibility is important with all applications from AppStore, only logic change is increasing 4 times the pixel density than current panels (from iPad, and iPad 2), with the specification to meet the same ratio aspect – 4:3. Data connection of the new iPad was the subject of several debates, simply because an upgrade is inevitable. Many operators have made ​​the transition to 4G LTE connections, especially in the United States, and if Apple has found a way to combine hardware support with a 3G connection for all iPad’s LTE supporting MicroSam, it would be a recipe for maximum success. The processor is the brain of the whole business, and if we’re thinking at the old models there is a chance to be powered by a SoC A6. Being part of a new generation of System on a Chip, A6 should be extremely efficient to push content to a screen so spectacular as to announce that the iPad 3.